Lower urinary tract symptoms (LUTS) are often overlapping and unreliable making it difficult at times to reach a correct diagnosis. 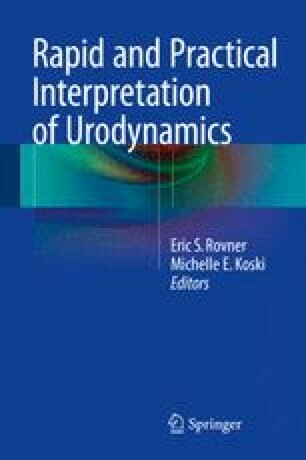 Multichannel urodynamics (UDS) testing measures different dynamic aspects of the lower urinary tract and translates patients’ subjective symptoms to more objective findings that may aid in making a proper diagnosis. Multichannel UDS is part of an integrated work process that includes history and physical examination as well as directed preliminary testing. This should include appropriate history and physical examination, voiding diary, post-void residual urine, and a pad test. Physician interpretation of the study findings should complement and integrate the clinical picture. The physician must be aware of challenges in study interpretation that may circumvent these goals, while remembering that proper counseling and pretest evaluation is crucial to optimize test results.